Medieval Times suspends guests between past and present with a heart-pounding show that tells a tale of devotion, courage and love! 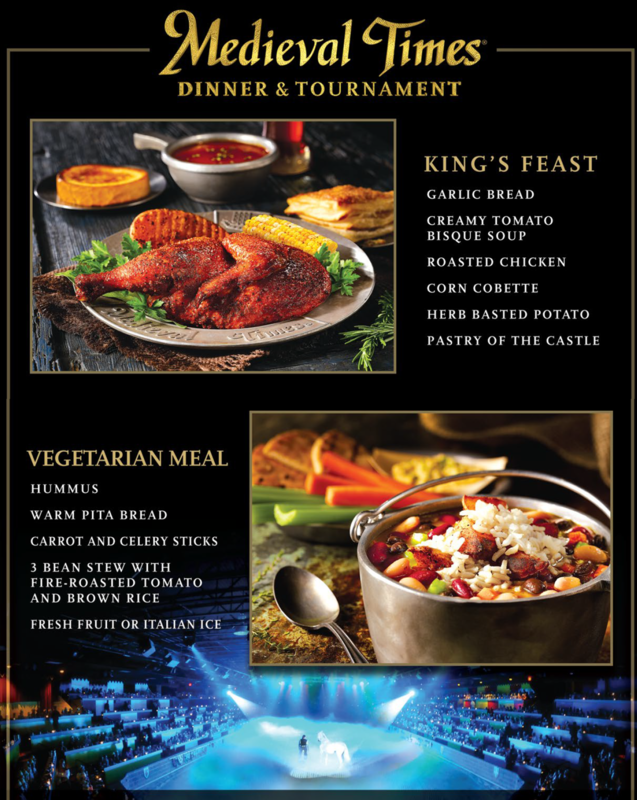 North America’s most popular dinner attraction invites you to embark on an unforgettable journey! Travel through the mist of time where bold Knights on spirited horses display the incredible athleticism and thrilling sword fights that are the hallmark of this truly unique family entertainment. A sweeping musical score and sparkling lights provide the backdrop for a magical experience that presses the boundaries between fairy tale and spectacle. Note: Call 407-396-1518 for reservations and information.